Oops–Our Rooms Are Missing Something! We pride ourselves in making Casa Cool Beans an escape from your Everyday. If it takes our guests a while to “miss” the Familiar, then we’ve done something right!! Thanks for taking the time to post reviews–keep them coming! Today’s featured article highlights the five best bars in Casa Cool Bean’s neck of Rio: Santa Theresa! 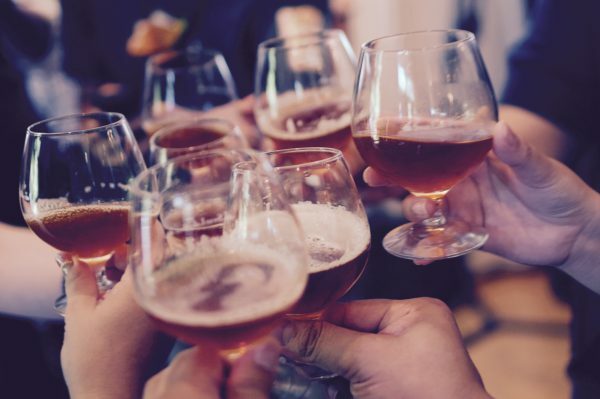 Check it out and let us know which of the five (or maybe even a bar that isn’t featured on this list) is your fave! Happy Monday! Rio de Janeiro ranks as one of the Top 25 Destinations in the World. 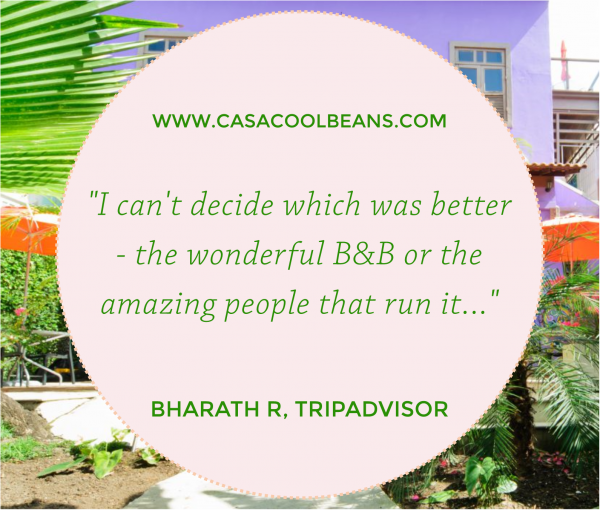 And, thanks to YOU, Casa Cool Beans ranks as the #1 B&B in Rio! Don’t believe us? 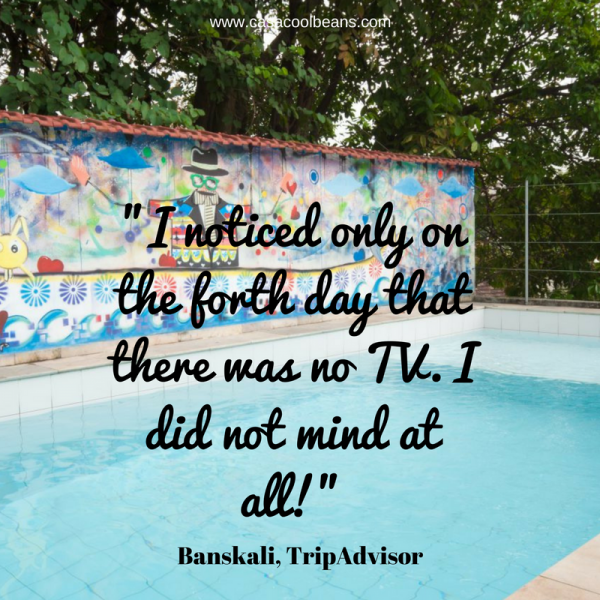 Check out TripAdvisor! You may know that when our Manager, Sergio, isn’t working HARD to keep Casa Cool Beans running smoothly, he gets away to train and compete in mountain biking. 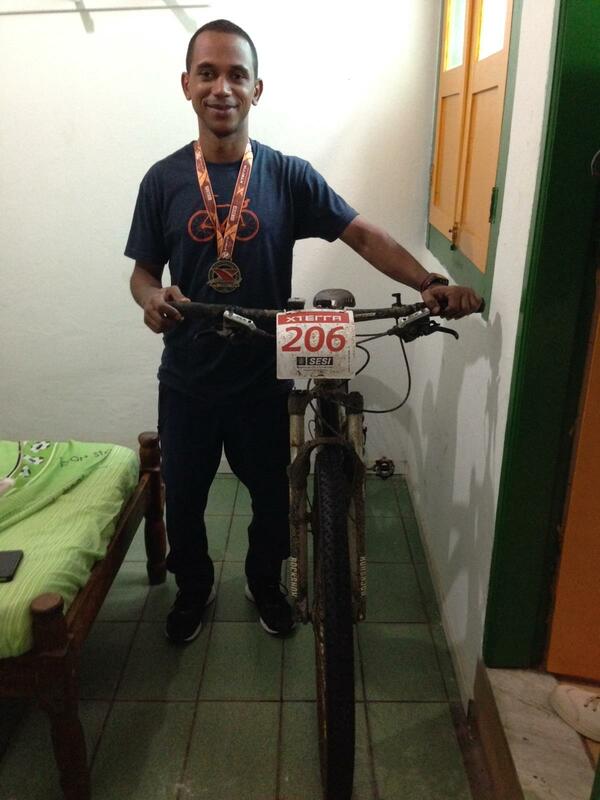 Checkout Sergio next to his trusty “steed” and join us in congratulating his placement in a local event. 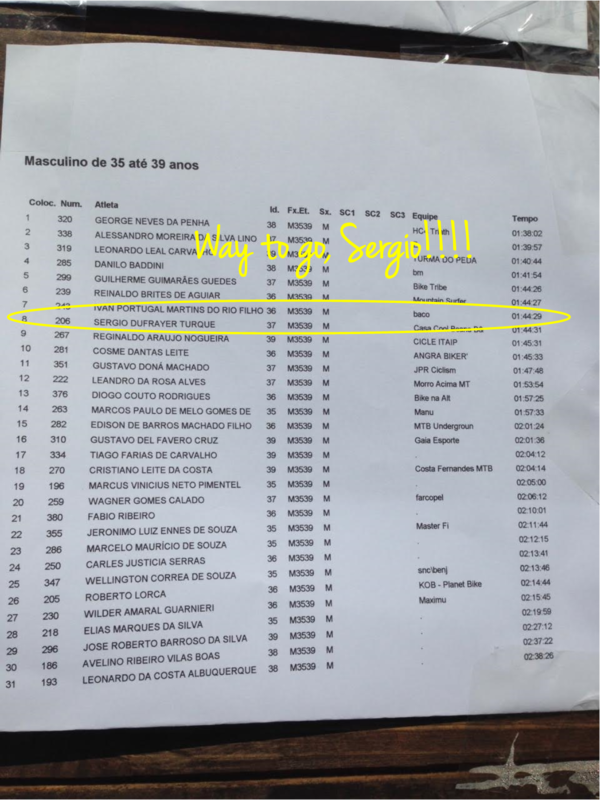 WAY TO GO, Sergio!!!! To the WONDERFUL New Zealand Olympic Sailing Team who we shared the last few weeks with here at Casa Cool Beans. Lots of medals were won (CONGRATS EVERYONE) but even more hearts were! THANK YOU for allowing us to host you during the RIO 2016 OLYMPICS! You are such super stars!!!!! *As painted by famous local artist, Patricia Brasil! 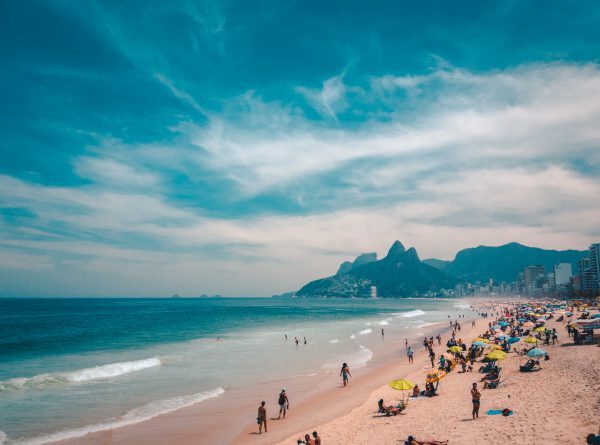 Tourism in RIO places a significant strain on the city’s water supply and today’s article is a call for hotels to play a larger role in not only using water resources more effectively, but encouraging guests to save water as well. At Casa Cool Beans we are committing to do our part–read on for the unique way our Manager Extraordinaire Sergio Dufrayer Turque has motivated our guests to use less water!